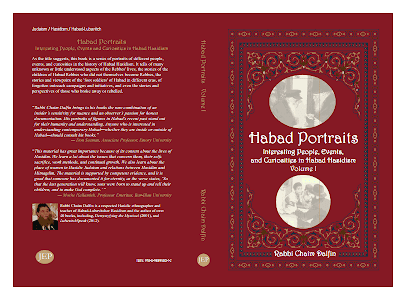 Habad Portraits - Excerpts: The "Malakh"
No shame. Using Uforatzto as their theme song. The nerve! Since when do AI conventions have theme songs and videos anyway? What's next? 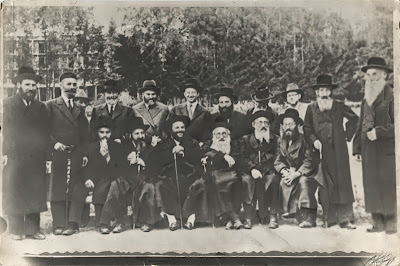 farbrengens and kinus HaShluchims? אני שבת" - אמר הרבי מקאצק זיע"א"
Oy, the נסיונות of 1912 Budapest! One can only imagine... But the truth is that velt has been velt ever since time began. Budapest was a very European city, it being part of the Austro-Hungarian Empire and quite modern for its times. And for a bochur'l from a non-Chassidic background who was searching for the truth... G-d only knows how difficult it was! Yet we see that for some reason Reb Arele yearned for those days! 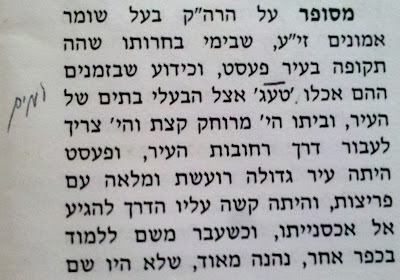 Almost like Rebbe Nachman he wanted those nisyonos so he could overcome them and reach much greater heights thereafter. 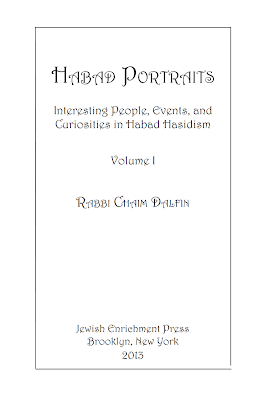 If you thought you were the velt's chochom who knew all the "secrets" over all the generations, all the stories that Chabad tries to "cover up" because it's so terribly "embarrassed" by them - this book is for you. As if. Portraits include: "Reb Nochum the Mitteler Rebbe's son, "DER MALACH," Reb Mendel Schneersohn בן אדמו"ר מהר"ש, and Berke Gurary. If you're a Barry Gurary fan only because you hate The Rebbe and Lubavitch - and you know who you are - read the book and you might actually learn a few things. You may actually be surprised that a whole lot of what you heard about all of the above is hearsay, half-truths, and even lies. 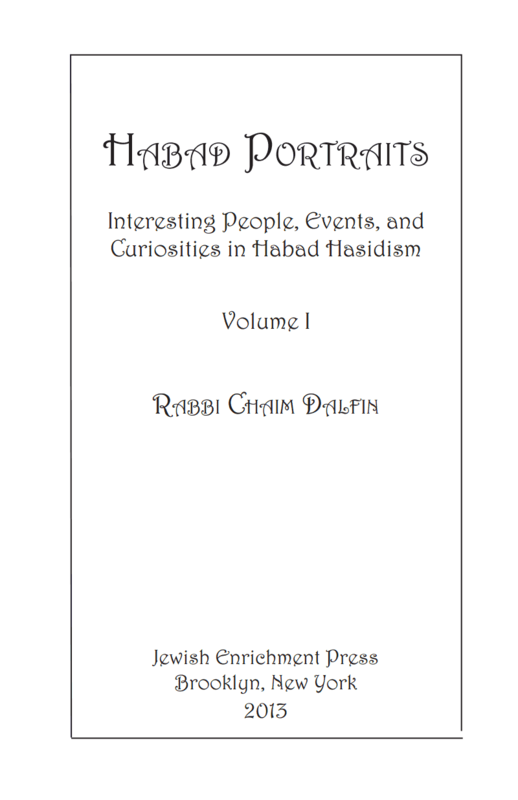 The book is due out today and can be ordered through Jewishinfo.org or e-mail RCD at info@rabbidalfin.com. Now let me see Satmar put out a book about The Satmar Rebbe's daughter and what was done to her, or such similar events... And they say Chabad has secrets. Ha! 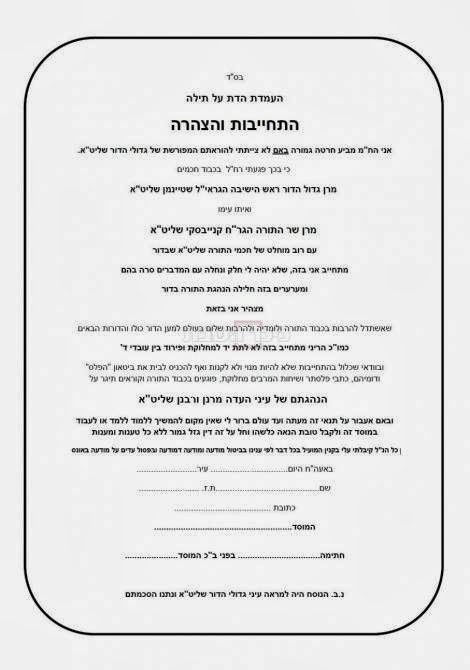 To be a part of this monumental project please contact Reb Akiva Shavrick at the above e-mail address. ..... and why do I have an issue with him? Maybe it's me? but a 4ft. 4inch 12-year old davening like he has the world on his shoulders ---- is kinda weird to me. Did I mention that he had it all going on? 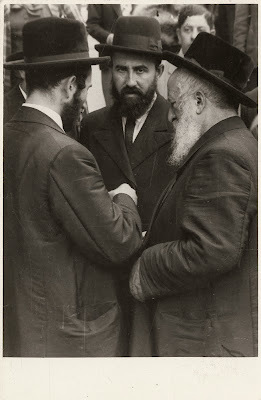 You Yeshivishers will know what I mean: A black velvet yarmulke, no rim, peyos behind the ears - not overdone but very noticeable - and the hair: a small tshoop, just the edge combed to the side. 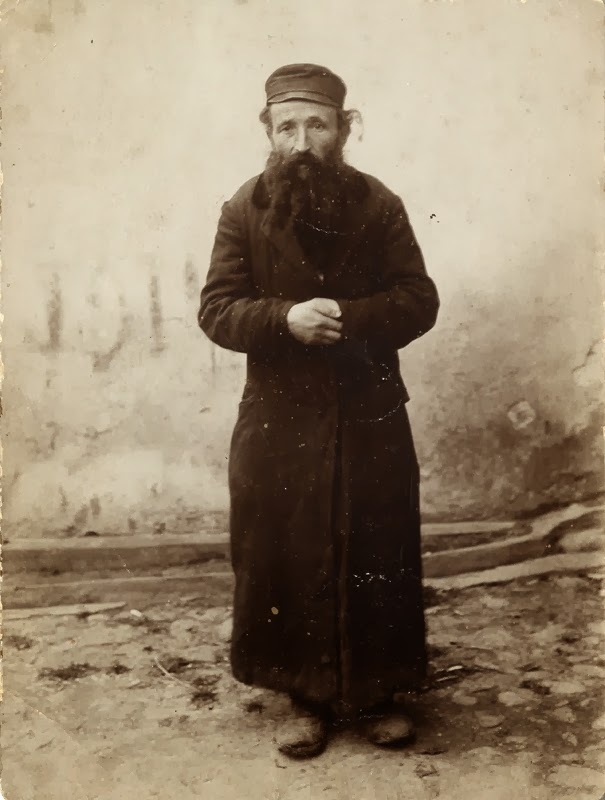 Being that this was after mincha Shabbos he was already sans the tie. 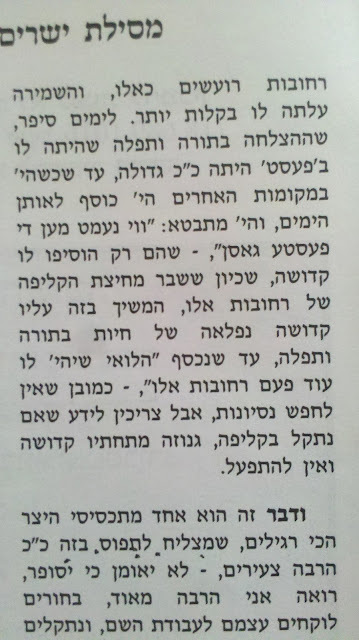 (why wearing a tie to mincha is such a burden I'll never know...) I walked in to shul with a few minutes to spare until maariv, and he was preparing parshas eykev, obviously his bar-mitzvah parsha. 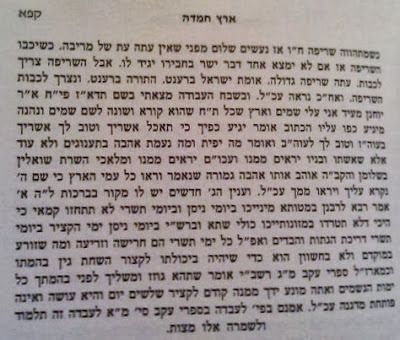 At maariv there was at Krias Shma doing the whole thing with trop.... Then at shmone esrei there he was again, when I was at modim he was at Hashiveynu; he spent two minutes on the first brochoh alone. This kid had it all figured out. He may be the next gadol haDor. Did I mention that he looked like he was 7 years old? So there you have the facts. What I wanna know is why his childish antics - albeit trying to act all grown up Yeshivish holy - get to me! Why was I so, so repulsed (!) by this? Is he the first kid that seems to be serious beyond his 12 years? no. Is it the fact that he was of the Yeshivish extraction/persuasion? Maybe. I can be truthful with you. But I'm not quite sure that this was my issue with his behavior. 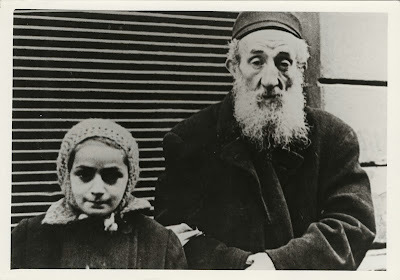 I'd be probably just as amused if it was a Chassidishe kid. But this kid.... what can I say.... It just was weird. 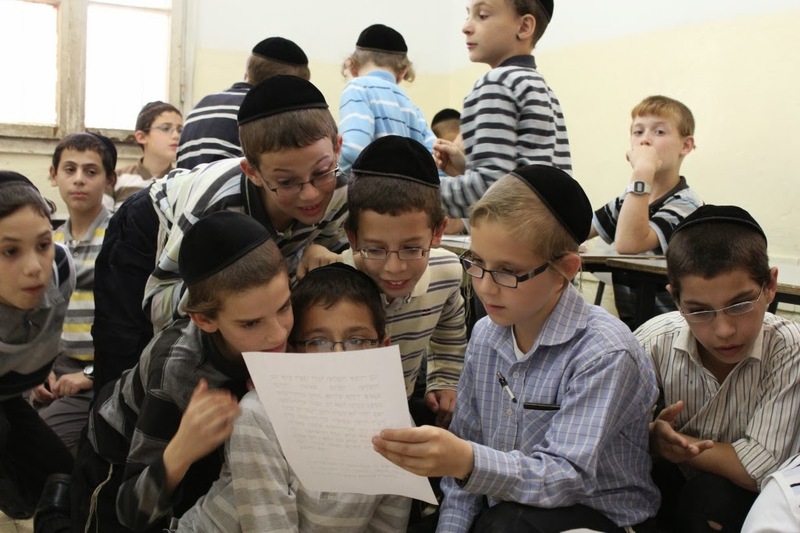 It's good that kids take Yiddishkeit seriously, and I don't think they should wait until they're 17 to get serious. L-rd knows they "grow up" so quickly, let the ruchnius come early too. But this behavior just seemed way too much for this blogger. The show includes a clip (never before heard?) of Reb Benzion singing as a young lad in 1938! 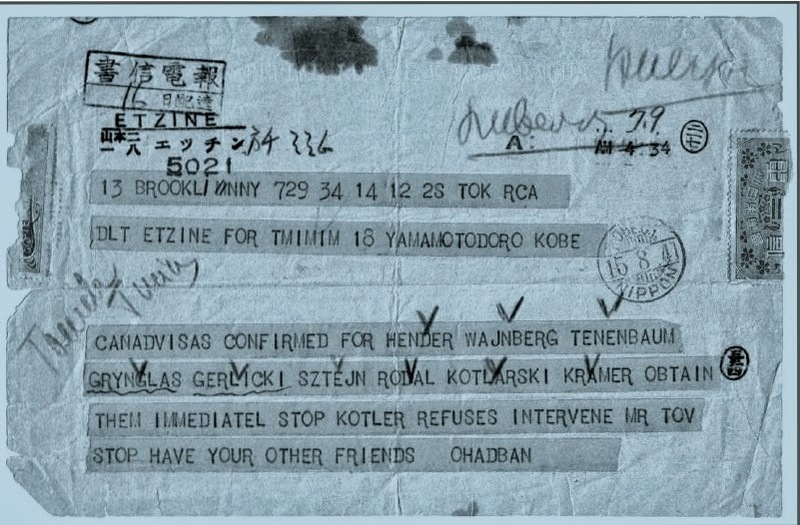 what's pshat in this telegram? 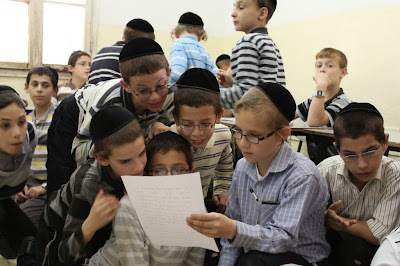 Saving Torah is most important? Such was the request made to me. "Give us the authentic Chabad perspective on Harav Ovadia Yosef." What an undeserved honor! 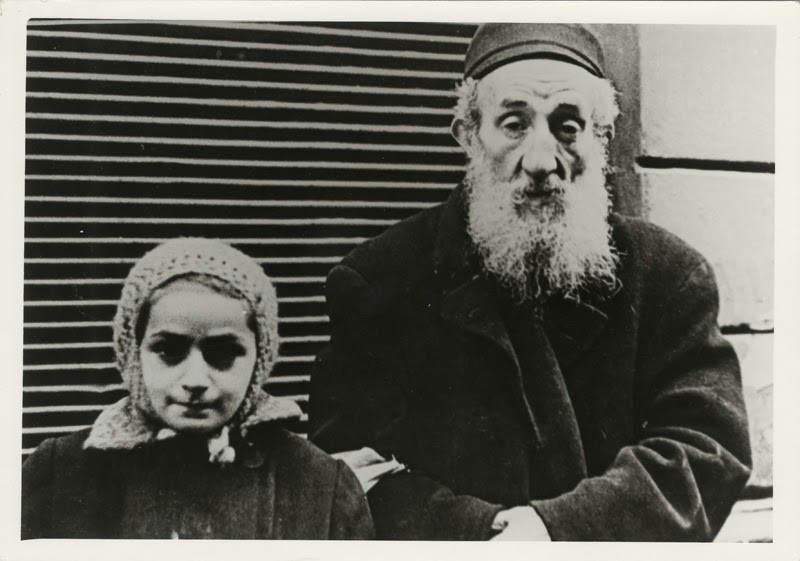 Who am I to speak in the name of Chabad? Not to speak ill of שוכני עפר, but it's a tricky question. It's also not a question that gets a straight answer throughout the ages. ROY's opinion changed on many issues, some of them concerning Chabad, and some issues that Chabad sees as "their own," such as "Land for Peace." 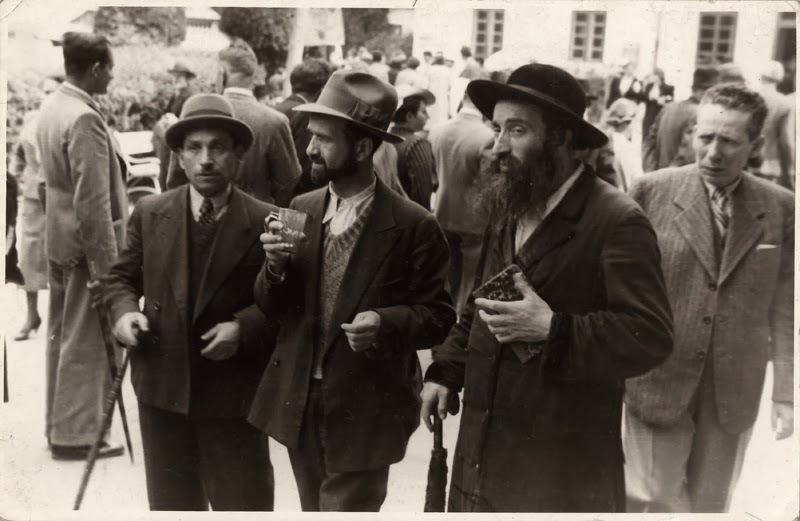 Some opinions changed due to political reasons, such as whether or not his Shas party stays in the Government and continues to enjoy those perks. And some changed maybe because he was having a bad day... Many Chabad'niks will never forgive him for allowing the Oslo accords to pass; without him there would be no Oslo, were his Shas party leave the coalition the Government would fall and Rabin would not have his way. Yes, Aryeh Deri vehemently denies that too, but, he'll deny his name is Aryeh Deri if the situation calls for it. Even many who have forgiven him still distrust Shas and are afraid that given another chance they'd do it again - in a heartbeat! Some will never forgive him because of disparaging remarks he made in the past, which he also seemed to regret... 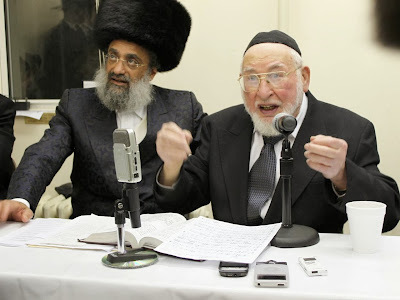 I guess you might say that a Lubavitcher's opinion is in line with his general personality. If he's the forgiving type he'll forgive ROY as well, and if not - not. After all, he didn't make it his life's mission to knock Chabad and the Rebbe every chance he got. So, in short: We all base our opinions of others on what we like and how we think! 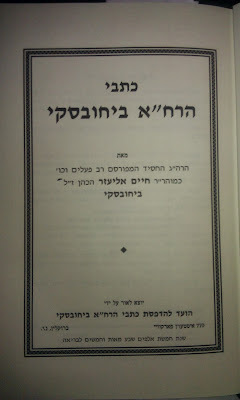 Having said that, his knowledge of Torah is beyond dispute. 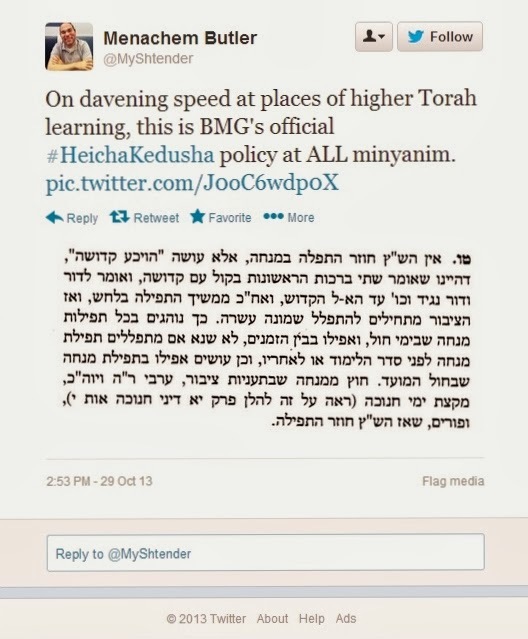 His התמדה is beyond dispute. 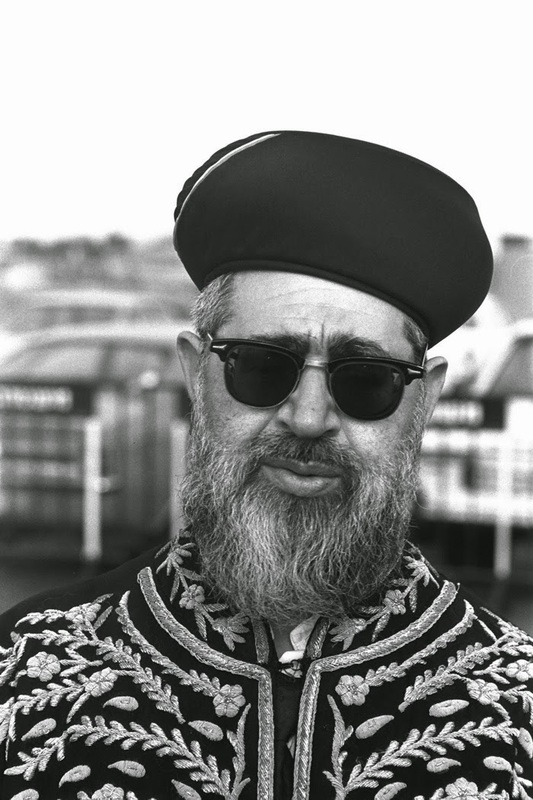 He built a network of Yeshivos and schools that were מחזיר עטרה ליושנה - to a degree. Living a long life is always beneficial. It's all good. 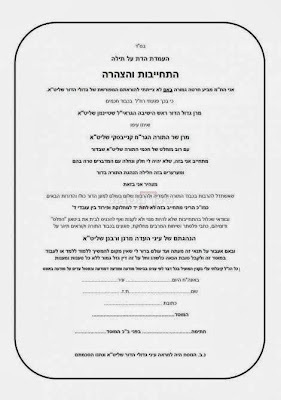 זאל ער האבען א ליכטיג'ן גן עדן. 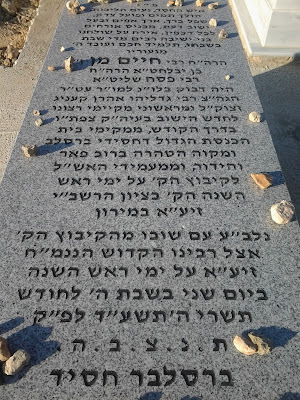 ער האט גאר אסאך געשוויצט פאר'ן אייבערשטענ'ס וועגן. 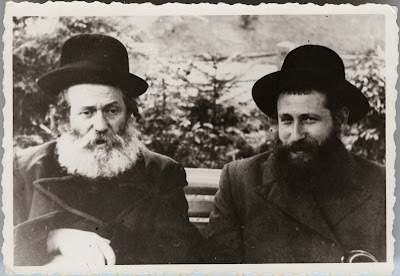 So that leaves us with two general sorts of people who did not attend the levaya: 1) The Kanoyi from Meah Shearim, or from anywhere, or the Brisker, to whom all Chief Rabbis - anybody who doesn't follow the shittah - is treyf chazir. 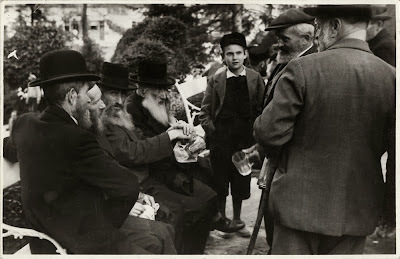 No matter how old they are, how many seforim they wrote, and how many millions attended. The fact that he lead a second class group of people doesn't help either. 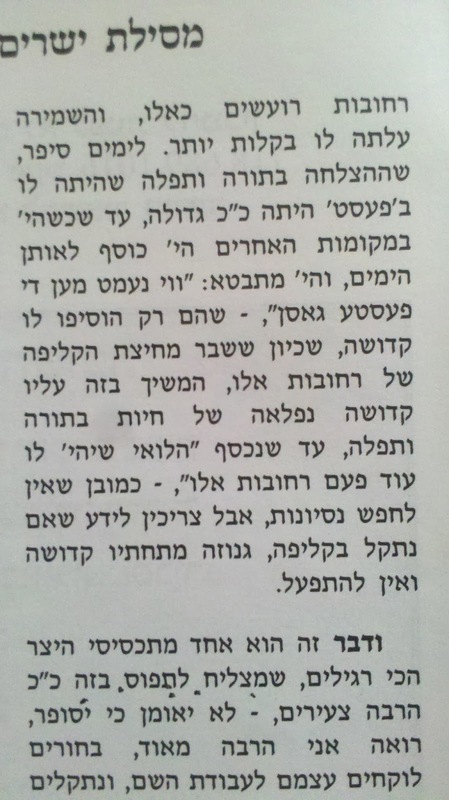 2) The Chazon Ish'nik, who is upset that ROY did not give the CI the proper respect, which is to be mevatel his daas. OK, so maybe that's an understatement, maybe he was downright disrespectful to the CI, just like he was to any Ashkenazi, including the holy רמ"א. But that was years ago, he learned not to do that. As much. 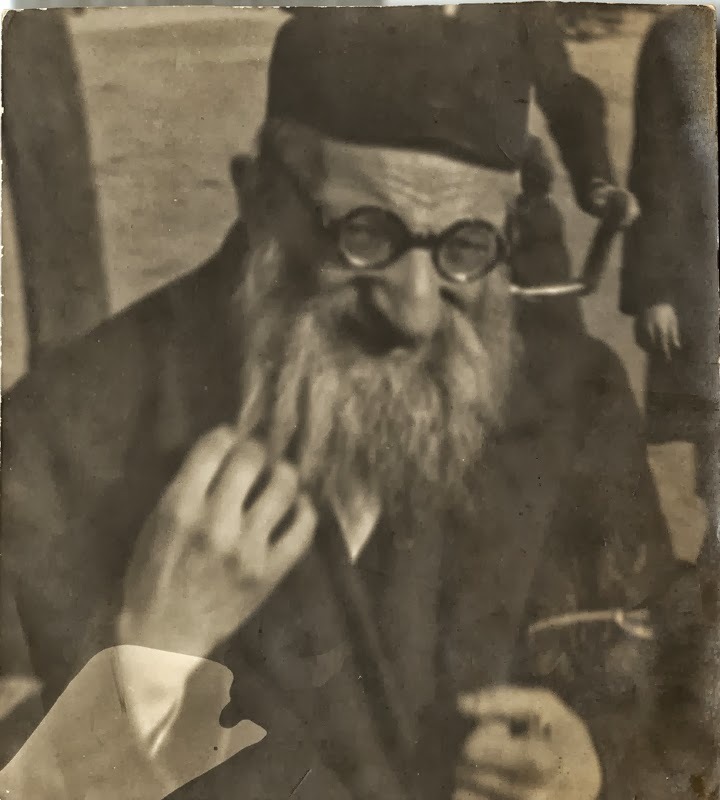 The Steipler referred to him by his first name, without as much as a "Reb," or "Rav," and his son Reb Chaim did NOT attend the levaya, although they say he wasn't feeling well. 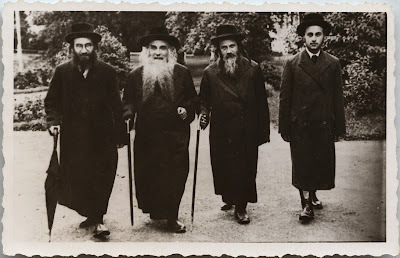 חבל מאוד that his true successor - and then some - his בכור HaRav Yaakov Yosef predeceased him. He had his father's ידיעות התורה yet was not swayed by money or power. He served as an MK but sat there learning... He left the Knesset because of the time being wasted, as well as the corruption. And he also would not be מבטל his דעת to his father, so for 20+ years he was PNG in that house. Rabi Yaakov Yosef would've been the perfect "successor." Now it'll be chaos there, chalilah. 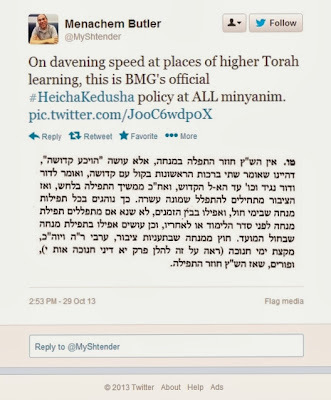 Having said that, I am NOT the official Chabad spokesman, so you're all most welcome to disagree. At least as far as the Aronei HaKodesh were concerned. 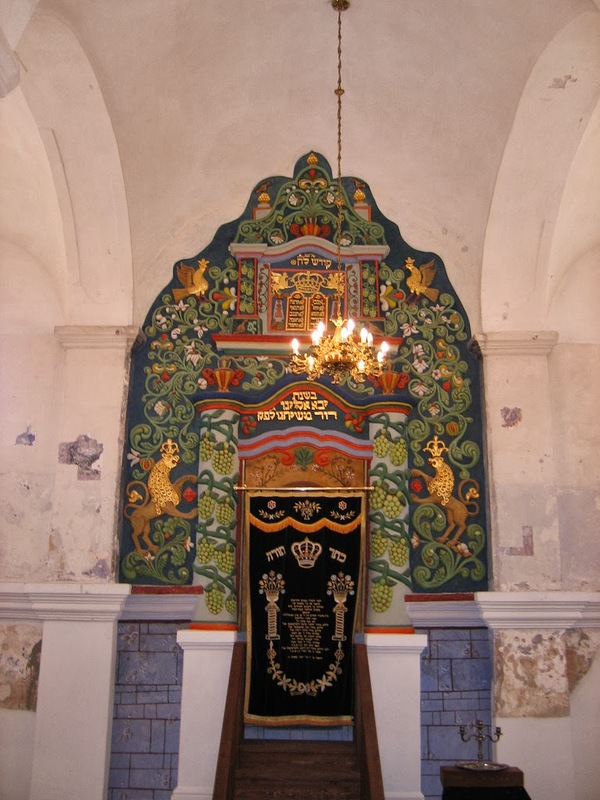 This is the shul in Bobowa. Look at the bright colors! It brought light to an otherwise gloomy existence. 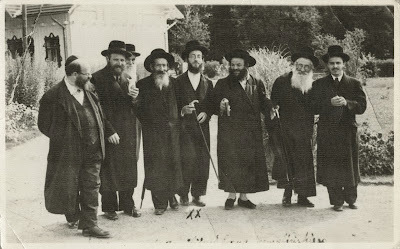 Today it would be concerned too flashy, not in line with the other shuls such as Satmar and Skver, and therefore out of line. The farthest they'll go is that light brown wood that everybody gets from the same shop in Israel. Funny how these things work. We try to stay true to our old ways, but only up to as point. 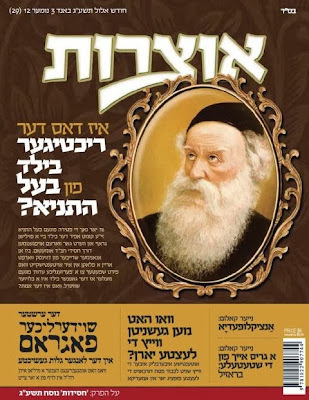 The following 2 pages are from the sefer "כתבי הרח"א ביחובסקי" - a compilation of letters, stories and vertlach from the Chabad Chossid Reb Chaim Eliezer HaCohen Bikhovski d.5684. 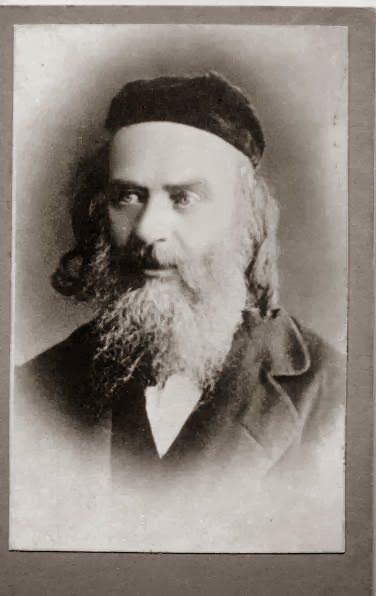 Reb Chaim Lazer was a Chossid of Kopust/Bobroisk, and for a while, back in the days when the two groups were at odds with each other, his seforim would not be learned... 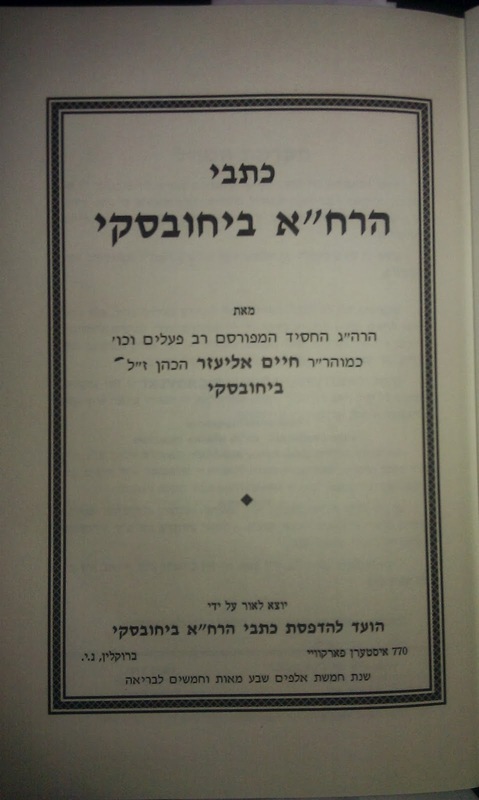 But the sefer was published by a Lubavitcher (Reb Berel Levin) in 5750, and the sefer דרך מצותיך of the צמח צדק is quite popular in Lubavitch today. I say that to avoid the usual, predictable comments that some of you will make. Although the Kopuster and Bobruisker were probably more sympathetic to ציונות than their cousin the Rebbe RaSHaB, I doubt he was trying to preach Zionism here. 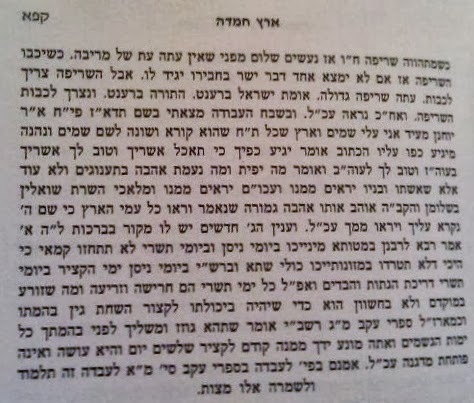 Like I said to a friend earlier today; Those of you who are uncomfortable with the CC's solution to the "תורה ברענט" predicament in Europe during the previous century can take comfort in the words of the Ore Someach, Reb Meir Simcha HaCohen of Dvinsk, who, according to Rabbi N Kamenetzky in his epic "The Making of a Gadol" was to have called the Chofetz Chaim "א קליין-שטעטל'דיגער איד" who has no knowledge of real life in the big cities and should therefore not be attending the Rabbinic conferences of the early 1900s. 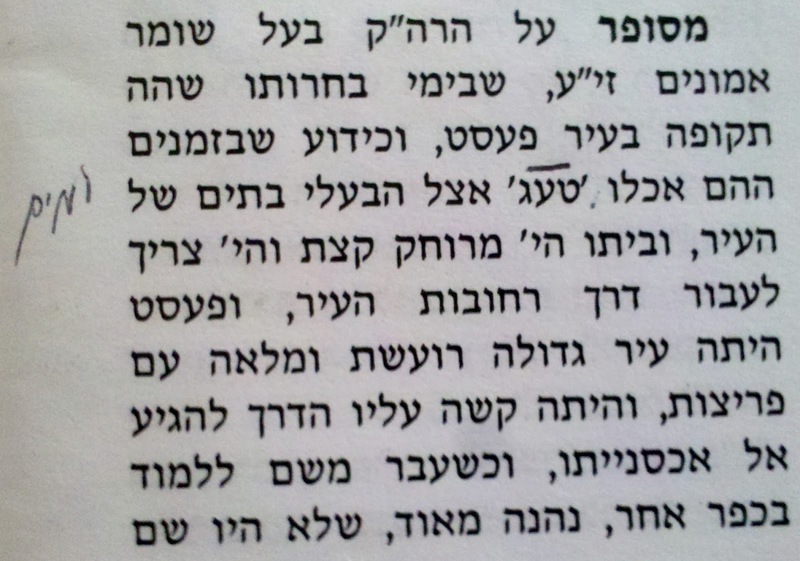 Maybe this solution was also "קליין-שטעטל'דיג" and not rooted in reality. 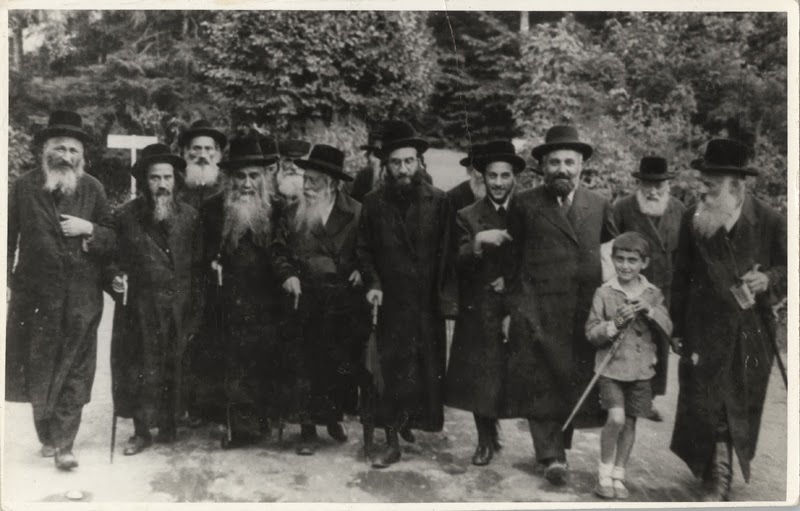 After all, other than a group of Slabodker bachurim there was no mass emigration to Eretz Yisroel before WW2. 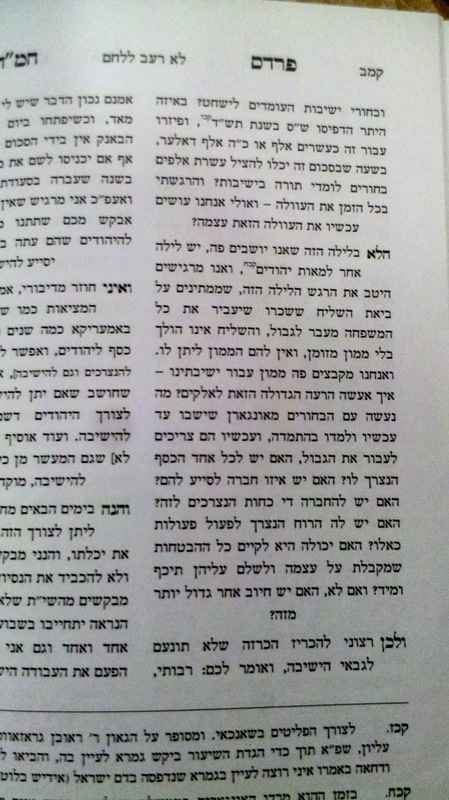 But the CC was content with bachurim learning 9 months a year and working the land of Eretz Yisroel for 3 months. Imagine that!